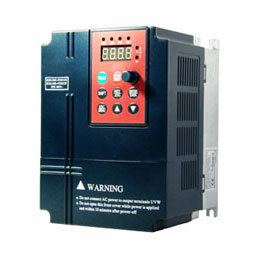 What is principle work of Active Front End variable frequency drive? Home » FAQ » What is principle work of Active Front End variable frequency drive? 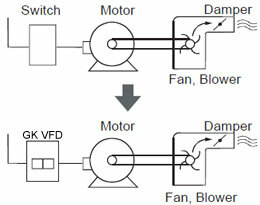 The Active Front End acts as a controlled rectifier. Being a current-controlled inverter + filter, if the currents are controlled to be sinusoidal signals in phase (or in opposition) to the grid voltage, the result is power factor close to unity and low-order harmonics controlled to nearly zero. On the other hand, DC bus capacitor voltage is controlled by regulating the amplitude and direction of currents coming from the grid. To increase its voltage, current is sunk from the grid (in-phase with voltage), while to decrease it current is sourced (regeneration). Current can be controlled by means of space-vector PWM, as in vector motor control. However, currents are not actually sinusoidal, they still contain some ripple at the switching frequency. The controller only measures currents "averaged" in the PWM period, and generates proper duty-cycles to make them sinusoidal. 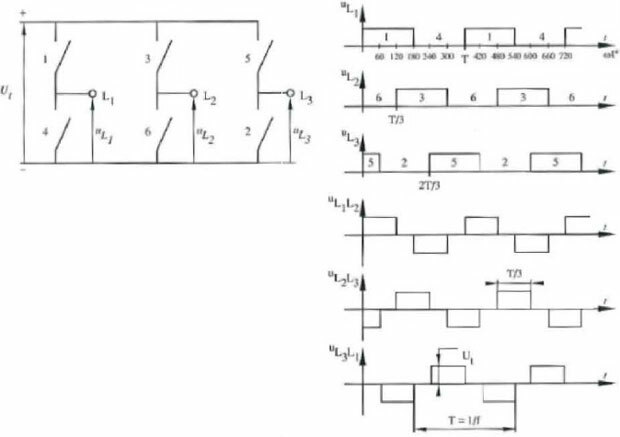 In many cases Active Front End is full 4-quadrant bidirectional rectifier that allows bi-directional power exchange between AC and DC sides. The rectifier is also used to minimize the amount of harmonic distortion reflected to the power grid by effectively drawing/sending nearly sinusoidal current from/to the power grid. The active filtering part is implemented by controlling the current harmonics such that these cancelling harmonics (such 5th, 7th, 11th,..., and zero sequence harmonics) effectively eliminate those that would be created in a standard variable frequency drive and motor/generator system.